Lorraine DeGraffenreidt is a Vassar College alumna and an independent comedian based in Los Angeles. Lorraine writes for the Upright Citizen's Brigade Maude Sketch team "The Summer Of" and she also writes/performs with her all-lady sketch comedy group, Glamazon. Lorraine wrote for the inaugural season of the teen sitcom "Five @ 305" (Primo TV) and she wrote a video sketch for YouTube star Lilly Singh earlier this year. 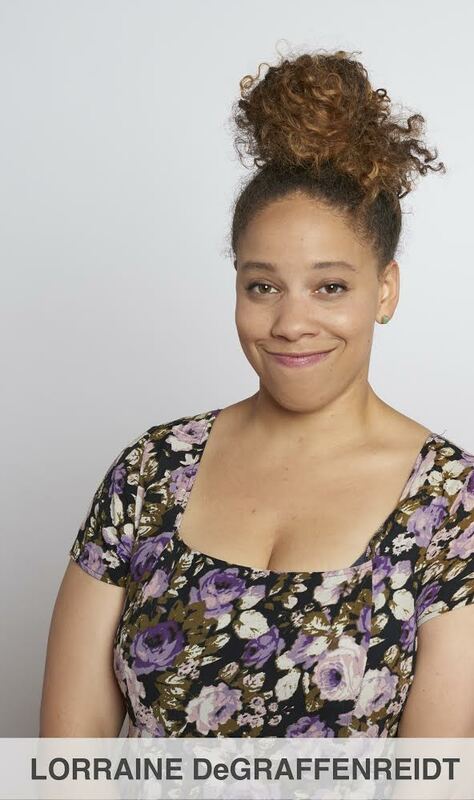 Other professional credits of Lorraine's include “BoJack Horseman” (Netflix) as showrunner’s assistant, “Tuca & Bertie” (Netflix) as writer’s assistant, SuperMansion (Crackle) as writer’s assistant & Crazy Ex Girlfriend (CW) as a naturopathic doctor in the background during one of those magical musical numbers. Lorraine recently was promoted to staff writer on a new animated series!